Do you want a more meaningful, personally fulfilling experience with your wedding rings than the local jewelry store provides? Our master goldsmith, Jay Whaley will help you and your loved one design and make your own wedding rings in a single day! Your rings are guaranteed to come out perfectly, just the way you want them. 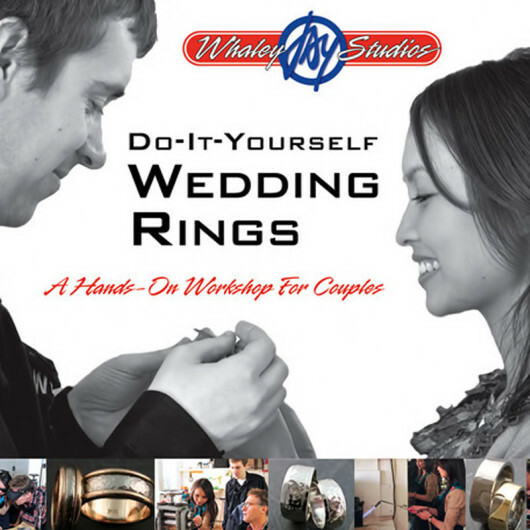 Whaley Studios in San Diego has years of experience guiding couples with no previous training as they create beautiful, unique wedding bands to rival those sold in jewelry stores. Do-It-Yourself wedding rings is a far more rewarding and bonding experience than simply choosing your bands at a jewelry counter. 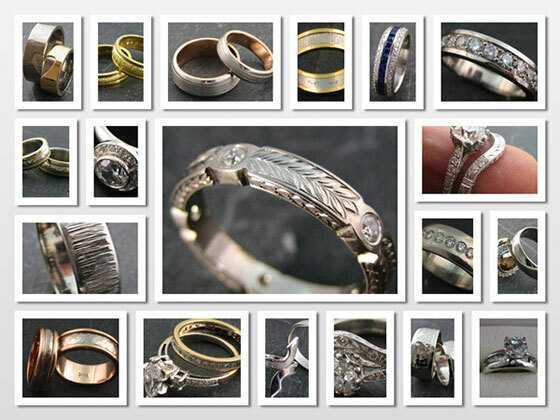 Your wedding rings will be personally customized jewelry. Beginning with your choice of precious metals, designing the rings, to melting and pouring out the metal and completing with the final polish, you make your wedding rings with your own hands! It is truly a couple’s hands-on project from beginning to end. Your success is ensured with the personal attention of our experienced jeweler, who guides your every step. You cannot go wrong. 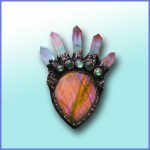 Your unique rings can be made of platinum, palladium, 18K yellow or white gold, or even a special high-tech sterling silver. Gemstones like diamonds or other colored stones can also be a part of your wedding rings. The choice is yours, and we love unusual design ideas! 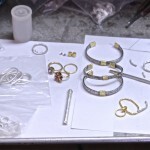 Our ring-making package is a one-day workshop which includes the precious metal used to make the rings, the one-on-one guidance of a master goldsmith, as well as lunch on our balcony overlooking vibrant Fifth Avenue in Hillcrest. And … celebrate the experience of completing your rings with a champagne toast! 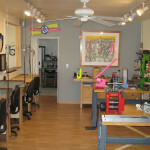 Come on in to our well-equipped jewelry-making studio and see what we do here. It’s a creative and fun environment, where we will help you to create the most special rings…and know that you made them yourselves! Reach us at 619-299-9619 or email us at whaleystudios@gmail.com for a free consultation, tour our studio, and discuss ring designs and pricing. Pricing will depend on which metal you choose. You can see our gallery of rings made by couples just like you, ask questions, and set a date for your own personal wedding ring workshop. please contact us at 619-299-9619 or email us at whaleystudios@gmail.com We look forward to hearing from you! Thank You!